At my parents house, you’ll find a copy of the Joy Of Cooking. The pages are kinda stuck together, and have some old dollops of batter staining the paper, making it look prematurely aged when it gets to the 600s. This is where you will find all the scones, cakes and biscuit recipes. 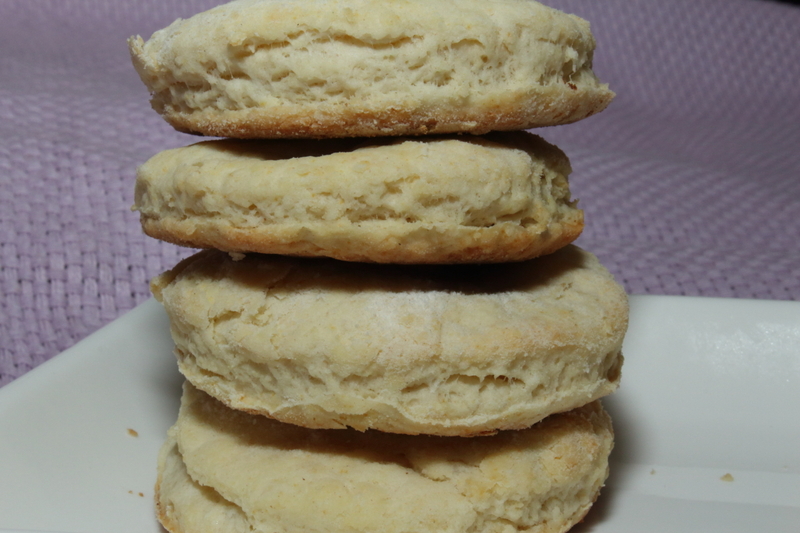 While my dad has always made the same scone recipe – and to this day makes the same one, though he adds a variety of different things to them they’re essentially the recipe found in the J.O.C. Most of the rest of the recipes were used as suggestions, or a jumping off point for baked goods. 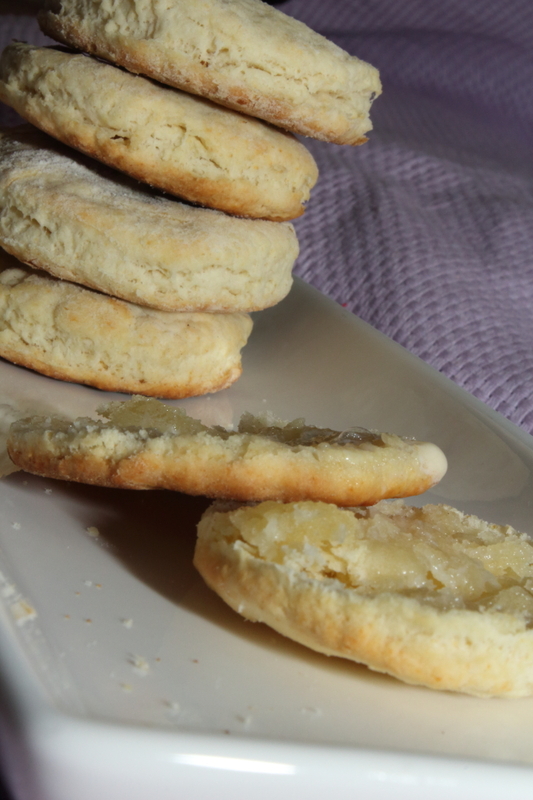 I went through a serious biscuit phase when I was younger – as my pants size has been able to attest. They can be, when paid enough attention, tall enough, light, enough, and flakey – oh, so flakey, and when sliced in half only enough butter and or jam can hold them together long enough to make it into your mouth. 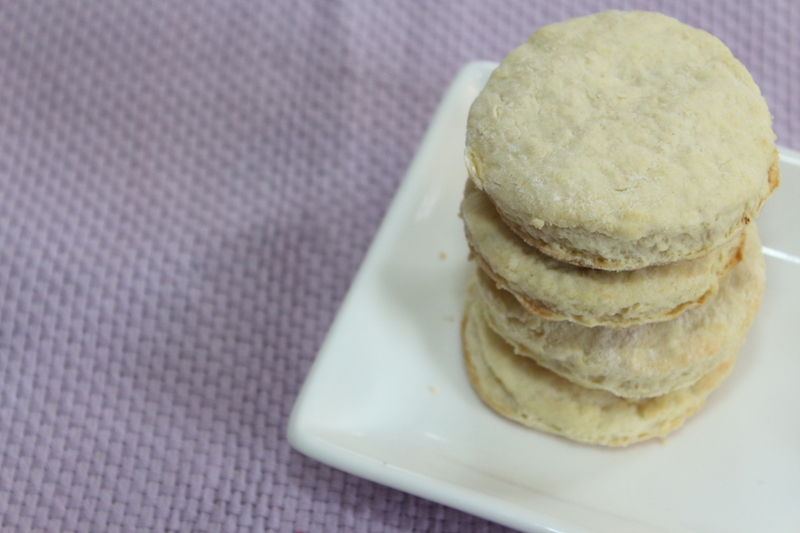 It has been years since I have made biscuits. I had almost forgotten how much I loved them, and how easy it was to make them good enough to have with a cuppah tea (that’s earl grey tea, when in Boston, for ya). I find them to be best, fresh out of the oven, with some butter (room temp, salted) melting back into the dough. Perfect for almost any time of day, again, I can attest to this because I ate them for every meal today (sorry personal trainer! It’s a snow day!) some with tea, some with strawberry jam, some with butter, some by themselves. When your butter is cut in, add (all at once) 3/4 cup of milk, stir this in until the dough starts to fall away from the sides of the bowl, your dough will start to look a little shaggy, and not stick together as much as you might think it should. Turn the bowl out onto a clean counter/surface/board previously dusted with flour. Gently knead the dough for a few minutes, try not to knead too much- the heat from your hands will combine the rest of the flour that looked like it wasn’t going to mix in. With a lightly floured rolling implement (sometimes you don’t have or can’t find an actual rolling pin, grab a heavy pint glass, or something) and roll until your dough is between 1/4-1/2″ thick. Cut out with a 1-1/2″ cutter, or the top of a glass (I usually just use a pint glass for most things I don’t want to look for…) continue to mold back together and cut out until you are done. Place on ungreased baking sheet, and bake for 10-15 minutes. Your biscuits look great, I have never tried that recipe. Oh, thank you! Definitely worth a try! Joy of Cooking is the standby for simple recipes for me- it was always used in my parents house as a reference for suggested ratios more than anything else. My mum has turned their 4 egg cake into a surprisingly edible vegan masterpiece. 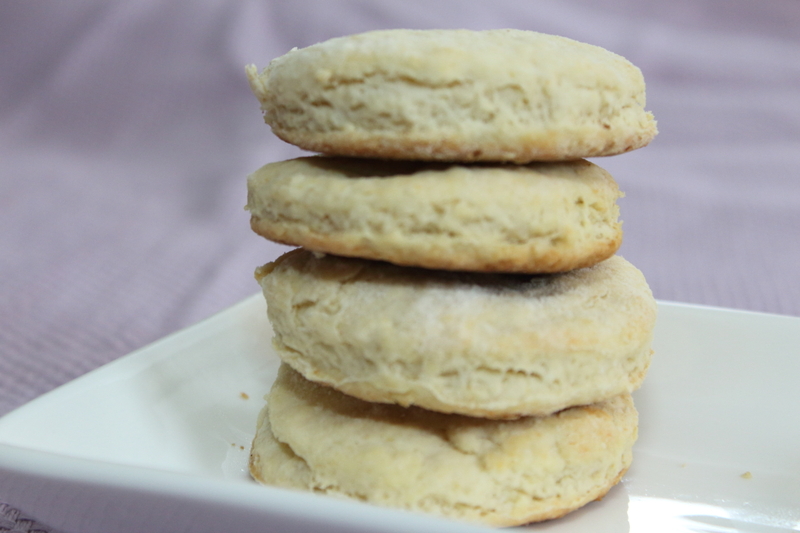 There is nothing better than a warm biscuit with melted butter. Oh! Thank you so much, glad you enjoyed reading it! I will be sure to check yours out at lunch!